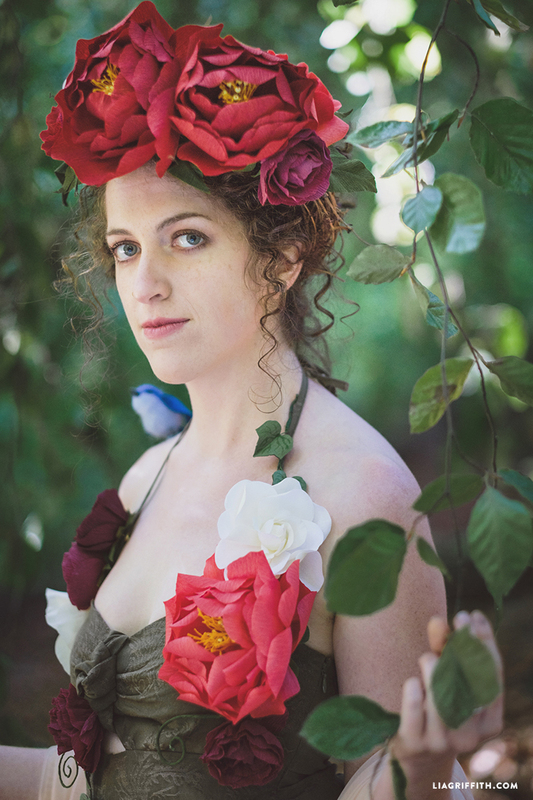 Be the star of the Halloween party with our Mother Earth costume and head wreath! 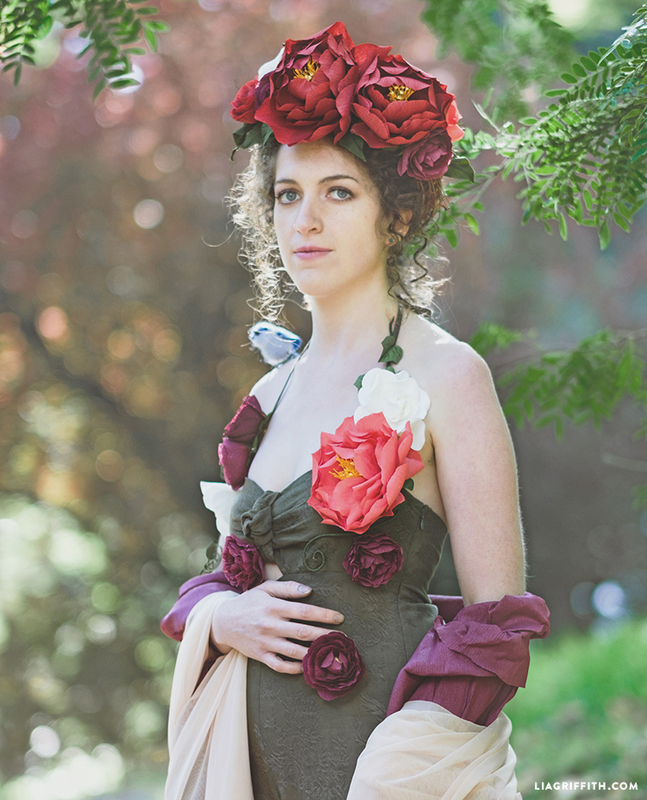 This Halloween costume features an assortment of gorgeous paper peonies, ranunculus, rosebuds, and gardenias as well as an adorable, little felted bird. 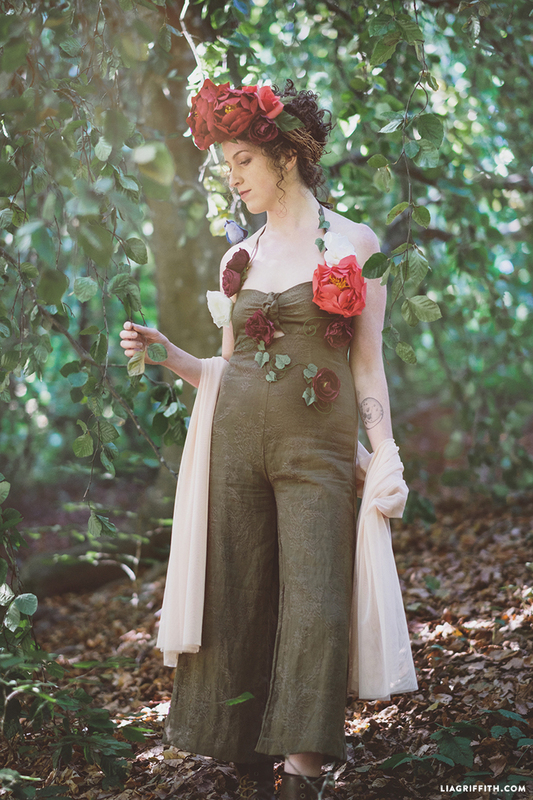 Channel the magic of nature with this simple-to-craft Mother Earth costume for Halloween. Tomorrow, we’ll be introducing our ivy armbands to complete this look. In no time at all, you’ll be ready to move mountains with this masterpiece of a costume! 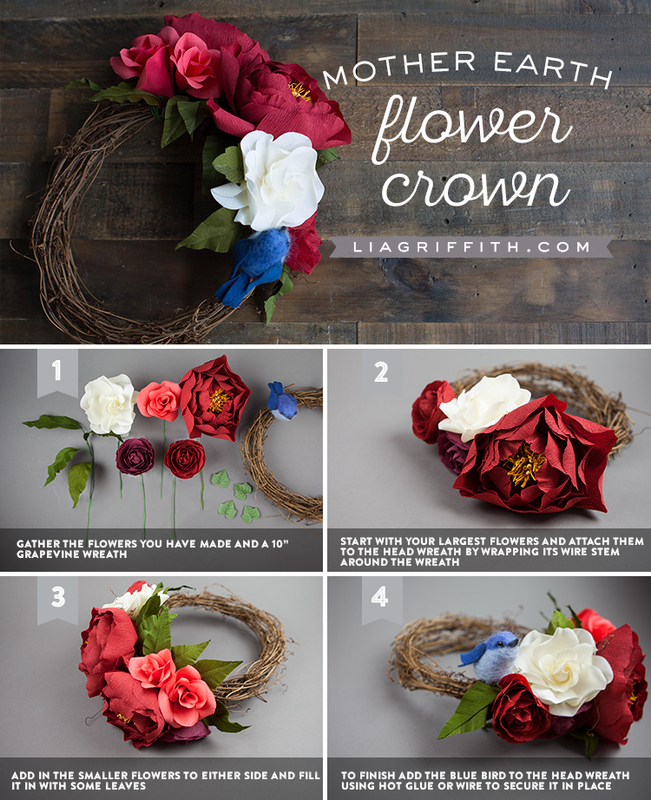 Follow the tutorials provided for the recommended flowers to make for your head wreath, then gather all of your tools, flowers and the grapevine wreath. 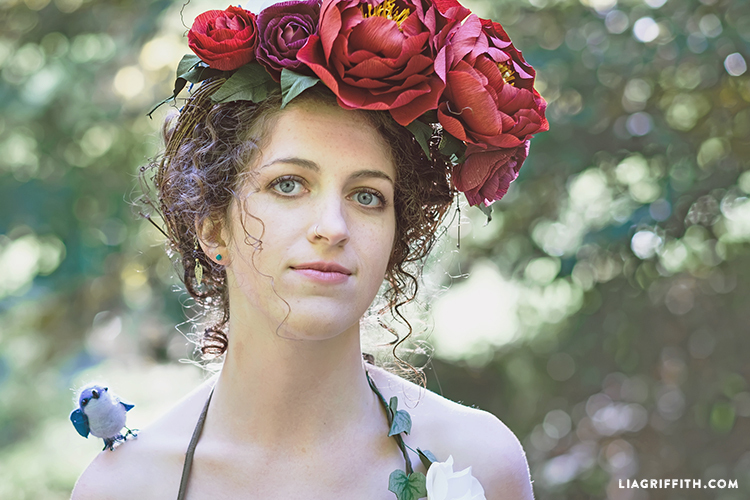 Start with your largest flowers and attach them to the head wreath by wrapping its wire stem around the wreath. Cut off any extra wire. Add in the smaller flowers to either side of the large peonies, then fill in any gaps with the large leaves from the peony template. 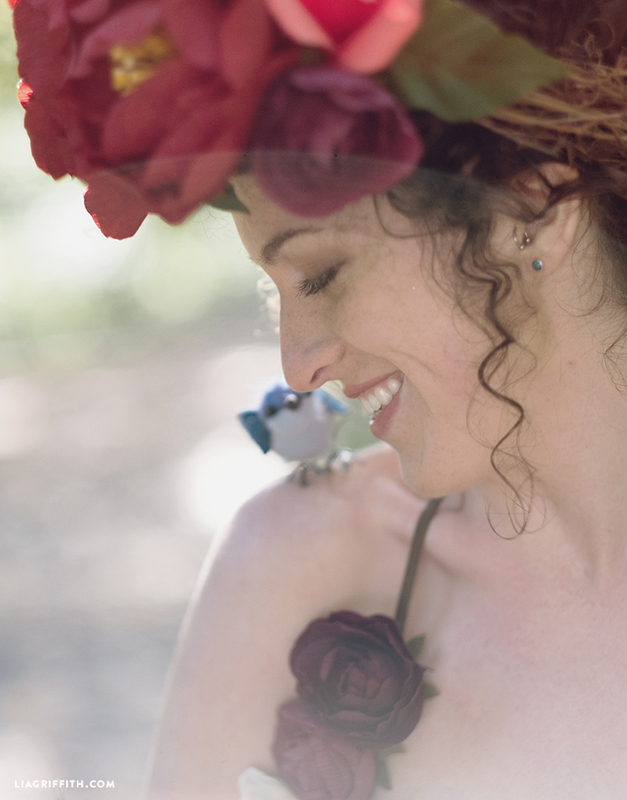 To finish, add the blue bird to the head wreath using hot glue or wire to secure it in place. 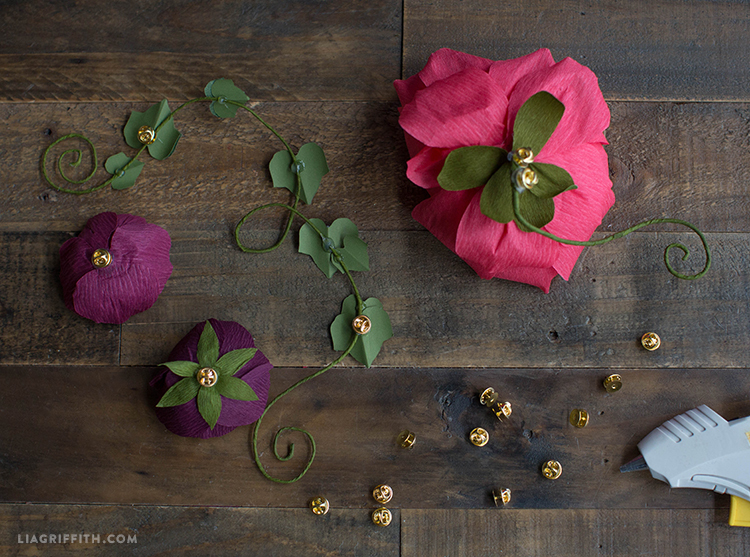 Cut the stems off of the flowers you have made, then glue a pin onto the back of each flower and any other accessories you wish to add to your costume (like the ivy vines). You may also leave the stems on the flowers and twist and spiral them to look like vines. 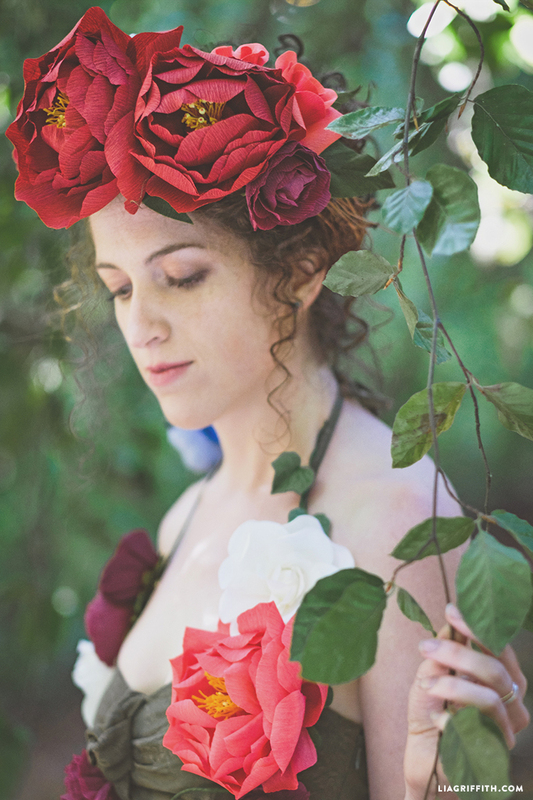 Add the flowers and vines to your dress using the pins. Wear the blue bird on your shoulder using glue dots to hold it in place. 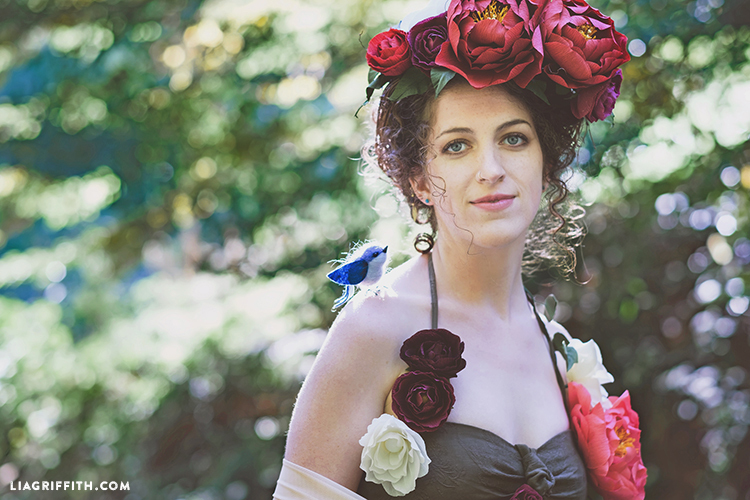 Complete the look by adding your head wreath. For more DIY inspiration, join us on Instagram, Pinterest, Facebook, Twitter, and YouTube. To start crafting with us, sign up for a Lia Griffith membership today — just $9.99 a month or $99 for the year! Membership gives you access to thousands of DIY projects, including fun perks, so check it out and let me know if you have any questions.